Our philosophy is to provide quality Family Entertainment, not just provide carnival-style Rides and Games. Good value, quality equipment and excellent service is our mainstay. The family you have at your event today is the one who will be back tomorrow. Magical Midways is a proudly run family operation, and has been for over 30 years. After several years operating carnival games, they decided to look at buying their own Show offering their wares to Festival & Agricultural fairs and Shopping Malls. Now in it’s 3rd generation, Brad McCafferty oversees current operations for Magical Midways, providing entertainment to the outdoor amusement business operating various types of equipment from Rides to Games, and Candy Floss Operations. Brad and his Family have operated the business out of their Toronto, Ontario location to be centralized, but since purchasing their own show they have been able to expand operation to include a Farm and shop near Woodstock Ontario, where they carry out ongoing maintenance and refurbishing of their quality equipment. Magical Midways has been fortunate to setup and be involved in many fairs and exhibitions across the country from Ontario and Quebec, to New Brunswick, Nova Scotia and Prince Edward Island. 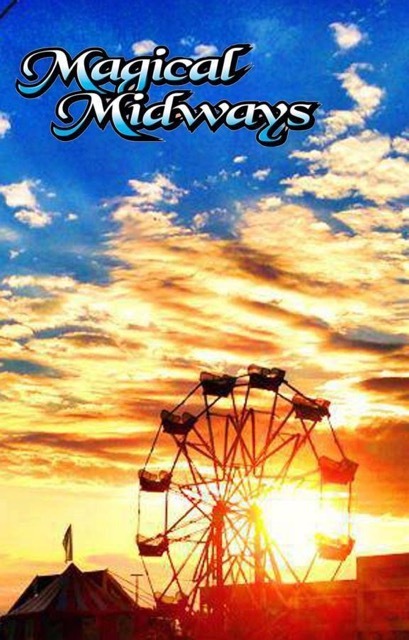 Magical Midways runs for approximately 24 weeks out of the season with a mixture of Exhibitions, Agricultural Fairs, Festivals and Shopping Malls, as well as an ongoing contract at the Woodbine Centre in Ontario to Rides at their Fantasy Fair operation. Experience and knowledge speak volumes for the success of this family owned business. Magical Midways would be more than happy to provide you with a contact name and number, if you wish to contact any of the above locations. Want to rent our selection of amusements?